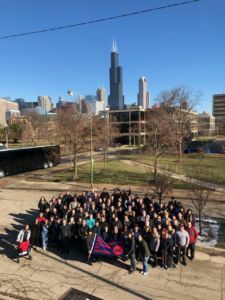 We recently took 112 college students, Chicago young adults and Archdiocese of Chicago seminarians and priests to FOCUS’s SEEK2019 Conference from Jan 3-7 in Indianapolis. 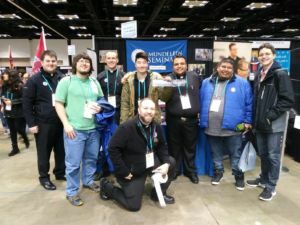 At this conference, over 17,000 college students, campus ministers and parish/diocesan leaders had the opportunity to encounter Christ, deepen their relationship with God and hear talks on how to grow in their own spirituality and build authentic community with others. 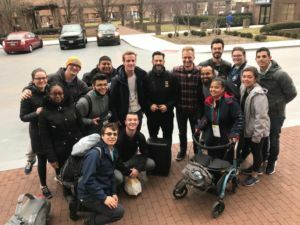 The conference included several keynotes on evangelization, prayer, and elements of the Catholic faith given by some of the top Catholic speakers from all over the country. The Fellowship of Catholic University Students (FOCUS) was founded in 1998 and invites college students into a growing relationship with Jesus Christ and His Church, inspiring and equipping them for a lifetime of Christ-centered evangelization, discipleship, and friendships in which they lead others to do the same. To learn more, visit www.focus.org.